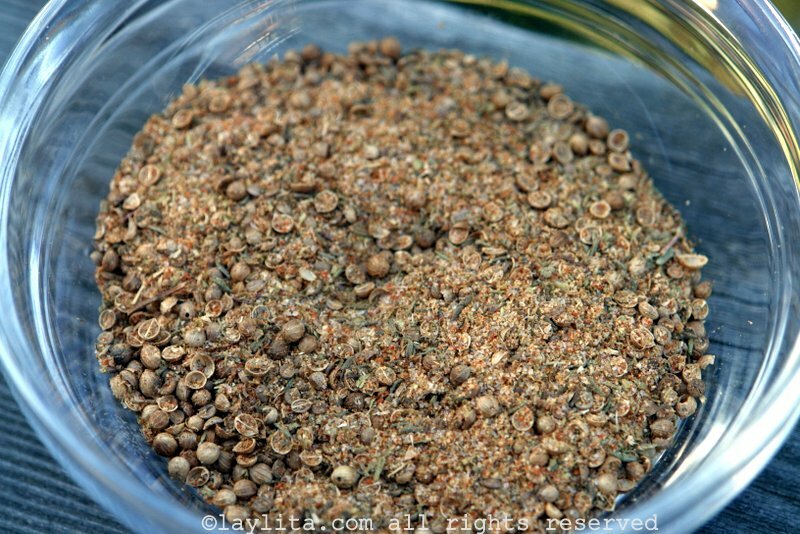 Recipe for spicy coriander seasoning mix – made with coriander or cilantro seeds, cumin, cayenne, garlic, oregano, thyme and pepper. This seasoning mix is ideal for seafood and poultry dishes. Seasoning mix of coriander or cilantro seeds, cumin, cayenne, garlic, oregano, thyme and pepper for seafood and poultry dishes. Place all the ingredients in a mini food processor and pulse until well mixed, the coriander seeds will not be completely ground, but should be crushed.